The only safe place left... is prison. Nearly eight months after the "outbreak", three of the uninfected stumble upon an unlikely sanctuary, a prison. Inside they find a small group of inmates who have chosen to stay behind while the rest of their fellow convicts escaped in the first harried days of the 'outbreak'. Now inside the high prison walls, the small band of survivors must decide if they want to take their chances among the living and exceedingly hostile convicts, or with the flesh-hungry dead waiting for them on the outside. "Dead Inside" is a terrifying story where possibly the safest place on Earth is inside a maximum-security prison. 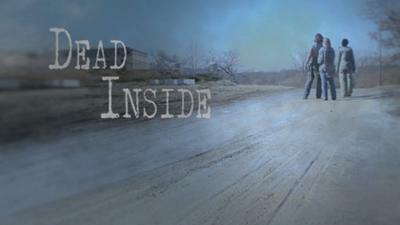 "Dead Inside" is a project designed with an eye on the business of filmmaking. While we love the creative side of what we do, we're quite aware of the fact that film is a business. Therefore, we set forth to create a product that employs a number of elements necessary for success and a reasonable ROI. 1) We own a script product within the enormously popular horror genre. This is a genre which historically sells well domestically and internationally. 2) We're operating within what the film industry typically considers a "micro-budget" which provides better opportunity for a quick return. 3) We have attached known cast members, some of whom have a positive track record for selling well in international markets. 4) Our team has a long history of producing award-winning, profit-generating cable network and independent theatrical films. 5) We have the festival and distribution contacts to expedite sale of the finished product. In fact, we already have requests for screeners of the finished film and even one request for dailies from a large North American distribution company. We are also in talks with a few other well-known names to give the project even more viability. We are currently looking for qualified investors that will work with us to expedite our efforts with the capital raise. We have pitch meetings set over the next several weeks but are looking for more opportunities to connect with the right people. I have a pdf copy of the business plan and the PPM authored by Wyatt, Tarrant, & Combs which I will forward to you upon request.